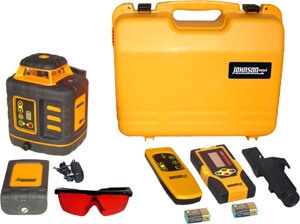 Johnson's 40-6532 Rotary Laser Level is great for indoor and outdoor construction laser levels - carpenters, plumbers and electricians LOVE this rotary laser level for the versatility and accurate leveling it provides. Self leveling both horizontally and vertically, with a Vertical mount. 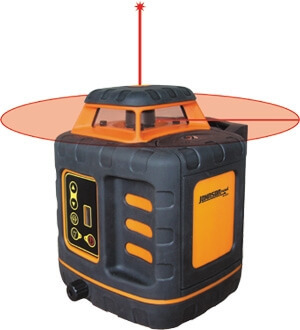 Johnson's 40-6532 rotary laser can be used for a number of indoor and outdoor applications, including leveling, checking cut and fill, setting foundations and footings,Septic tanks and basement excavations, Acoustical ceiling and drywall installation, aligning and plumbing walls, Contour framing and more.